Running in parallel with an International Network for Government Science Advice (INGSA) meeting on principles for science advice to policy, 16 early- and mid-career scientists from wide-ranging disciplines, work environments, and countries met in Brussels, Belgium, to discuss how science advice can become more inclusive and more diverse. The Global Young Academy (GYA) convened the workshop, sponsored by the European Commission’s Joint Research Centre and INGSA, who were curious to see how young scientists could offer a fresh perspective on how the research community can respond to the increasing demand for more open policy-making and what barriers remain in the policy-making community that hamper inclusiveness of scientists. The workshop titled ‘Broadening the scope of science advice: Best practices for engaging knowledge‐creators beyond the academy’ was held on 28 September 2016 in Brussels, Belgium. The strapline for the United Nations’ 2030 Agenda for Sustainable Development, otherwise known as the Sustainable Development Goals, is “leave no-one behind”. This is set against a growing demand for more democratic, open policymaking, which necessitates opening up the whole process to new voices, ideas and techniques – not just listening to experts from perceived ivory towers of academia or a seemingly restricted group of internal advisors. Added to this, only a small proportion of the recognised scholarly knowledge available in the “ivory towers” and conventional sources of academia is ever drawn on for science advice (in science academies typically less than 10% of their membership). Fishing from a small pool of knowledge-creators can reinforce certain types of advice and exclude relevant insight and expertise: more established senior scientists and conventional structures of science do not necessarily represent new and cross-disciplinary perspectives or new and emerging technologies. Further, with the rise of citizen science and a growing recognition of the value of indigenous or traditional knowledge, “knowledge creators” are not found exclusively in conventional institutions/communities, such as science academies and universities; they can be found in places we don’t necessarily expect. So how can science advice systems be more inclusive and draw on a more diverse pool of knowledge creators to enrich science advice and better inform policymaking? Running in parallel with an International Network for Government Science Advice (INGSA) meeting on principles for science advice to policy, 16 early- and mid-career scientists from wide-ranging disciplines, work environments, and countries met in Brussels, Belgium, to discuss how science advice can become more inclusive and more diverse. The Global Young Academy (GYA) convened the workshop, sponsored by the European Commission’s Joint Research Centre and INGSA, who were curious to see how young scientists could offer a fresh perspective on how the research community can respond to the increasing demand for more open policy-making and what barriers remain in the policy-making community that hamper inclusiveness of scientists. Creating a more diverse source/supply of knowledge: how to (i) access new sources and (ii) encourage, motivate and incentivise “knowledge creators” to apply their knowledge to policy issues. Young scientists can act as intermediaries/bridgers between established and nascent research communities. The Young Academies (e.g. the Global Young Academy and the National Young Academies) can play a facilitative role in this regard. Creating a more diverse set of audiences for science policy advice: not just government advisers but also local communities, schools, and NGO’s can be important ‘advice receivers’. The ultimate aim is not to provide science advice per se, but to support improvements in society; these can be achieved via a variety of routes. Young scientists are community members, are often well versed in current forms of social media communication, and can play a role as interlocutors. Creating a more diverse advisory system that is navigable and efficient so that advice is timely, practicable and responsive: by (i) building on existing, established sources and making them more diverse and fit-for-purpose (e.g. science advisers, academies, intermediaries) and (ii) creating new constitutions and/or intermediaries (e.g. advisory boards that include citizen scientists, young scientists, indigenous knowledge holders). Creating a more diverse advisory system that is quality assured and impact assessed: it remains important to distinguish between knowledge and opinion, minimise bias and prejudice, and manage the tension between quality and inclusion. The diversity and inclusiveness of science advice should be evaluated in themselves, with metrics that do not involve (or stimulate) the simple ticking of boxes. Applying all of this locally, nationally, regionally and globally: while clear and consistent standards across a diverse range of contexts/countries/cultures would be ideal, it is important to acknowledge (and cater for) the large differences between contexts of science advice. While principles and good practice should be shared through the many established avenues (e.g. INGSA, the International Council for Science, UNESCO, OECD, the InterAcademyPartnership, the Global Young Academy, National Young Academies, etc. ), these should be flexible enough to allow local adaptation and success. Exploring how science policy appears to work now and how it could work in a future ideal world, the young scientists observed that countries have different ways of structuring science policy advice but all tend to draw on a small pool of established, conventional institutions/networks, which do not necessarily represent emerging cross-disciplines, cutting-edge, fast-moving science (e.g. the growing field of citizen science) or traditional/indigenous knowledge. They observed the “cut and paste” of generic policy advice, compared to an organic, context-specific process. An ideal future scenario would see science advice being perfectly inclusive, with mutual respect and patient communication between all stakeholders; co-design and co-development of policies that are relevant and real; accounting for both established and exploratory science; having a demonstrable impact across a diverse range of beneficiaries; requesters of science advice being not just decision-makers but also local communities; inclusivity of those who give and those who receive advice, with grassroots/bottom up perspectives given more weight than they are today. how to evaluate the extent to which science advice has been inclusive. What can we do as scientists? How can we incentivise scientists to engage more with policymakers and become more policy-literate/policy-aware? Do we need knowledge brokers or intermediaries to do this, and if so who are they and where are they? How can scientists help policymakers apply a more scientific approach to weighting different forms of evidence relevant to science advice? How can we bring younger generations into policy advice/insight? How can we use young scientists as intermediaries between established and future scholars? How might we facilitate this through National Young Academies and the GYA? How can we promote bottom-up approaches? How can we promote greater openness in policymaking at local and national levels, and make it common practice? Can scientists work more closely with local communities, as well as their governments, and help develop a feedback loop on policy impact with citizens? How can we widen the pool of knowledge-creators to help advise policy? Can we pluralise science and break down the barriers between the presently narrow demographic of science advice and new and emerging disciplines, citizen science, practical and indigenous knowledge? How can we manage the potential tension between inclusion and quality? Considering how to add value to the “mainstream” debate on what constitutes robust science advice to policy, the participants expressed doubt about their credibility and legitimacy at the beginning of the workshop. However, the workshop itself illustrated the potential added value of engaging a wider demographic of the research community, bound by the shared desire to help shape policy for societal good. 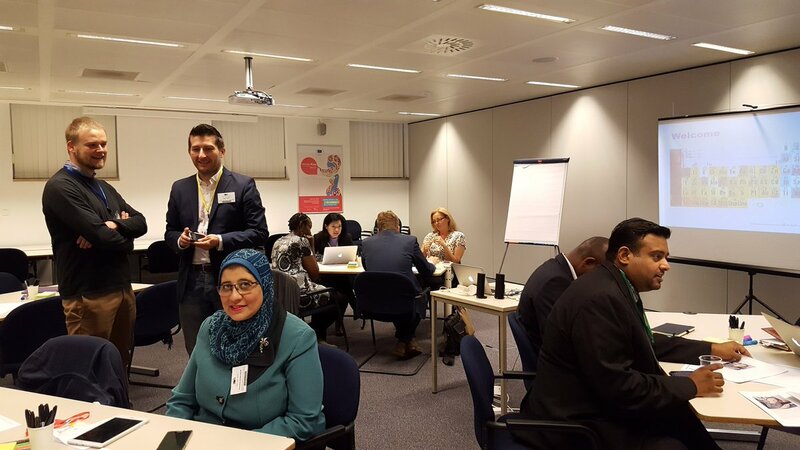 Report based on the Global Young Academy – Joint Research Centre – International Network for Government Science Advice workshop ‘Broadening the scope of science advice: Best practices for engaging knowledge‐creators beyond the academy’ on 28 September 2016 in Brussels, Belgium. Participants, in alphabetical order: Abhi Veerakumarasivam, Amal Amin, Bart Kolodziejczyk, Connie Nshemereirwe, Dmitry Maslov, Dora Dudas, Francesco Fusaro, Koen Vermeir, Liat Ayalon, Mari-Vaughn Johnson, Moshe Masonta, Muhammad Zaman, Nguyen TK Thanh, Patrizio Antici, Roberta D’Alessandro, Sven Schade. The workshop was generously supported by the European Commission’s Joint Research Centre and the International Network for Government Science Advice.